Ditch the suits, ties and briefcases for meaningful, effective team building workshops and active adventures tailored to you, your goals and your team! 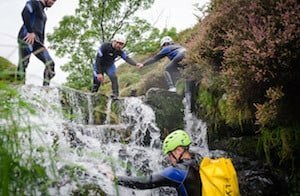 At Lost Earth Adventures we provide a platform for your team to develop the qualities that you require to improve and develop – from real experiences, facilitated learning and high, bespoke levels of challenge. “The best life lessons and education don’t come from a classroom – they come from adventure. Our programmes have been developed for corporate training and team development and are centred around activities designed to improve transferable skills such as leadership, communication skills, planning, change management, delegation, teamwork, and motivation. At the core of our programmes is an adventurous activity such as gorge walking, rock climbing, mountain biking, hill walking or orienteering. These adventurous activities are used as a vehicle for learning, to teach and experience leadership and team development. To test and challenge your group we will interlace small team tasks into and around the adventurous activity where we will delve into the building blocks of teamwork, leadership and communication. Working with our experienced Management Consultant we’re able to provide a tailored development programme for you that increases your teams performance, develops leadership capability, enhances collaboration, trust and employee engagement. Our experiential activities create a level playing field to explore and push behavioural boundaries within your group, whilst having Fun! Self and team awareness is developed both in and outside of the classroom as through use of facilitated discussion, psychometrics, behavioural analysis tools and proven best practice management thinking, we challenge, guide and enable attainment of your desired future state. That may be improved working relationships, team dynamics, communication, efficiency, trust or high performing team status, or something else relevant to your teams needs. Bear Grylls and Ray Mears type survival course. Your plane goes down, deep in the rugged mountain wilderness. You need to find your way back to population. 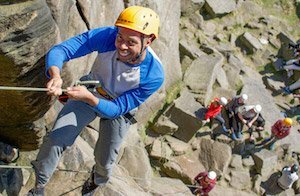 Summit the National 3 Peaks, abseil off of the highest churches, sheer cliff faces or into the nation’s deepest cavern. 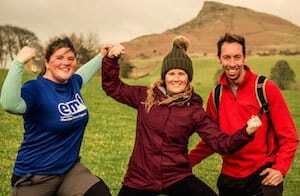 Choose activities and locations across the UK and conquer a challenge on home turf. Use navigation and leadership skills to race to the finish (not by speed and agility). 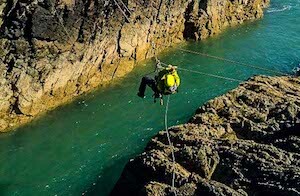 Conquer a series of team challenges en-route to the finish line, where you will take part in an optional abseil. First team back wins! Spend the day getting thoroughly wet and helping your comrades clamber over boulders, jump into deep pools and slide down water shoots. You’ll discover a labyrinth of subterranean caves, passageways and waterfalls. 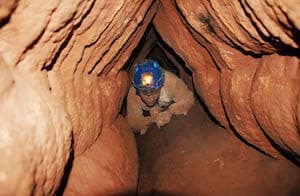 Squeeze through ancient formations and explore a fascinating world few others get to see, available for all abilities. Exhilaration and great views, climb together to the top of a cliff and enjoy a picnic, they say the best friendships are those formed on a mountain. Now descend! 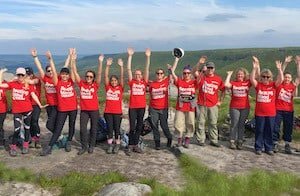 A test of resilience, navigation and team Work, climbing the three highest peaks of the Yorkshire Dales in under 12 hours. This offers a great sense of achievement. Is this right for my team? Absolutely! All our programmes are suitable for all skill levels. Our courses are flexible and are tailored and designed to your group’s specifications. All sorts of different backgrounds and organisations; from groups of company directors to sports teams to apprentices have benefited from our approach to team building and corporate training. The benefit to working with Lost Earth Adventures is that we work with you to create a bespoke itinerary and area(s) of focus, unique to your organisation. Previous clients have included: Rolls Royce, DHL, Nissan, Mars, Howdens and Google. enable team and leadership development? We work under intense pressure, in extreme and remote environments, leading groups through arduous terrain and being self sufficient with the needs of that group. A guide must be able to support and manage the logistics of an expedition, encourage the participants and care for them in case of injury or disaster. These responsibilities and an ever changing, harsh environment can be intimidating and challenging however, they encourage us as leaders to develop the best skills for leadership and teamwork, allowing us to transfer that knowledge and those skills to the corporate workplace. Our instructors and personal development facilitators are experts at motivating and getting the most from people. Every one of our facilitators and instructors are highly qualified and experienced in team building and personal development using adventure. These adventures range from leading expeditions in the Himalaya to remote sea kayaking expeditions in Scotland. Our Head of Corporate Training is educated to degree level in this field as are many of our instructors, putting their first hand knowledge into practice. Cat Davys, Matalan Board of Directors, from our Wild Survivor Team Challenge. – “Nothing but amazingly positive feedback from the board about the event. All really enjoyed it, felt that the guys you sent did an amazing job with Sam being particularly good at flexing into pulling out some of the behavioural things the group wanted to work on. The event was high quality, great pitch and ultimately they all felt very safe. Even the board member who was reserving his right to not take part got fully involved in everything (as you predicted he would). All of the programmes below can be designed to include any of the activities we offer. Click here to find out more about the adventurous outdoor activities we offer. 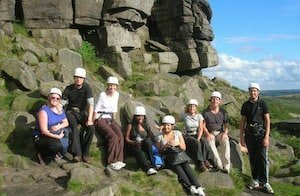 This is our most popular team building course as it involves an element of competition as well as a fun, challenging reward of abseiling. At each point there will be an added team challenge that needs to be completed to continue to the next checkpoint. This programme is perfect for competitive teams of 4 or more to race against each other. Find out more about our team building course here. A half-day activity is perfect for new groups of colleagues to break the ice and start building the foundations to become a successful team or as a reward for an established group. The session will be full of fun and provide plenty of opportunities for teamwork and collaboration as well as opportunities to get to know your new colleagues. There will be a final review at the end of your session to maximise the level of transfer for your group. A brilliant way to get the most out of your instructors and the activities available, you will arrive and have a discussion on team and individual goals and your instructor will facilitate a tailored session. The day will consist of team challenges as well as an activity of your choice. Each part of the day will contain a reviewing aspect to maximise the level of transfer for your group. Allowing more time to really develop your group towards the teams and individuals goals, this two-day programme is perfect for those that have very specific aims. With a different activity on each day there will be obvious progression within the team and the individuals confidence as leaders. The evening will be your own, however your instructor may set you a small bit of homework to prepare for the challenges on the second day! This programme will be an intensive course to challenge and develop your group in the areas you have requested. 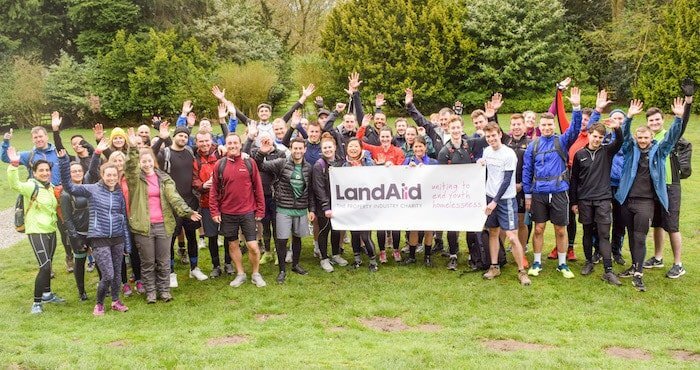 It will be based in a mountainous environment in the UK where the responsibility of the group’s success on the expedition will rely on the group’s ability to work as a team. Your group will be responsible for the expedition under the watchful eyes of an experienced Mountain Leader. Responsibilities could include: route planning, camping, cooking, navigation, team management and logistics. This course will start on the night before the first day (i.e. Friday night before the first full day on Saturday) and end on the afternoon of the second full day (i.e. Sunday). *A budget will be provided for you to purchase food for the team as part of the expedition. Like the ideas from a few of the programmes above? Don’t hesitate to contact us to discuss what you would like us to provide in terms of learning and activities. We customise all of our programmes to fit your required outcomes and aims. 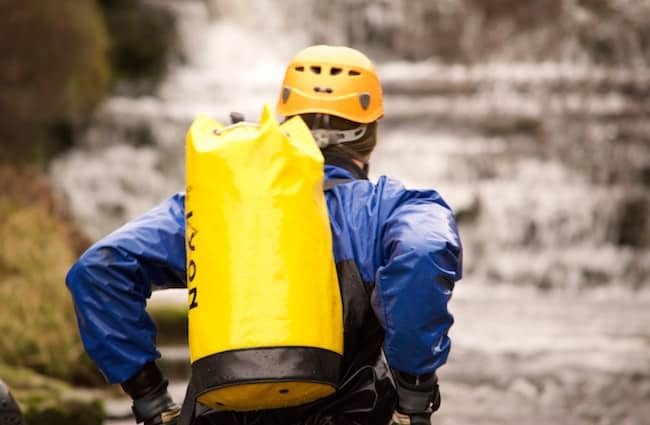 We provide programme locations all over the UK, from on-site training session to off-site wilderness adventures. Our off-site locations range from; wilderness expeditions in Snowdonia National Park, day programmes in the Peak District or Yorkshire Dales to residential training at a rustic lodge in the Inner Hebrides, Scotland. We work with you to create the perfect bespoke environment for learning. 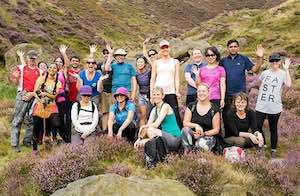 Peak District – Modern, centrally located meeting and conference area in Hathersage, a stunning village in the heart of the Peak District and less than a 10 minute drive to our outdoor activities. Catering, free WiFi and parking, courtyard and gardens, Viewsonic projector (3200 lumens), flipcharts and dry wipe boards available. Selection of accommodation to suit all budgets. Yorkshire – Conference and meeting facilities in the beautiful hamlet of Wath in the Nidderdale valley, situated along the River Nidd. 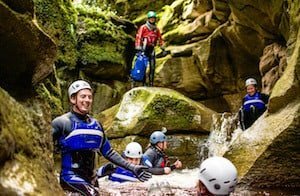 Just a 10 minute drive from our Yorkshire outdoor activities such as gorge walking and rock climbing. Catering, WiFi and free parking, gardens and green space, projectors, flip boards and whiteboards available. We can also provide a course that takes places inside only, if that is your preference. It will include dynamic indoor team tasks, group discussions and workshops. Transport, food, safety, technical equipment and clothing, qualified guides and instructors as well as the logistics of the event. This allows you and your team to simply show up and enjoy an unforgettable day out from the office. Planning and preparing shouldn’t all be about paperwork. We take the hassle and stress out of organising your group event by providing you with all of the necessary risk assessments, equipment and clothing kit lists and safety briefings. We are fully insured and accredited and only use experienced instructors, qualified by the activity’s respective National Governing Bodies. At Lost Earth Adventures we are aware of the concerns for the health and safety of your colleagues. All of these documents are available on request.  To read more about our AALA License and our safety policies click here. Q – Rock climbing, gorge walking, mountain biking and expeditions sound fun and maybe a little scary but we have real outcomes to work on. A – Although the activity will encourage an element of fun, learning is our focus. We use adventure as a vehicle to teach and experience leadership and team development. What it is not is a distraction from the real aims that you, as the client, require. Every programme we design will include the learning processes and tools needed for your team to focus with clarity, intention, and respect for the tasks that are at hand. This is not a “team building amusement park” it is real life, transferable skills for your company to invest in. Q – Can you come to us? If you require a preliminary meeting or training session before the planned programme we can visit you or your workplace. These work well as your instructor can help to identify appropriate aims and outcomes for your group. You may also want to opt for a programme refresher, which can be an afternoon or day at a suitable location to confirm and build upon the learning that took place during your programme with us. Please contact us in advance if you would like to book these as extras for your programme or if you would like to discuss them further. Q – Some of our group have a fear of heights and some are not in the best physical condition of their lives – how will they manage? A – The programmes that we design are built to develop leadership and teamwork – not elite rock climbers! All of our programmes are designed as a bespoke product to consider your team’s aims and the individuals within that team. If you are capable of climbing a flight of stairs and taking the dog for a walk you can complete one of our programmes. If you have concerns over the physical demands of the programme you desire, please do not hesitate to contact us. Q – Can you provide training indoors? A – Yes, we can. 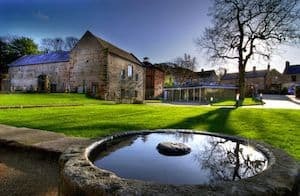 Please see above (under location heading) for details of our fully equipped, superbly located conference facilities in Yorkshire and the Peak District. Although our ethos uses adventure as a vehicle for learning we can also appreciate that you may want to keep some elements of a programme inside. We can tailor as much or as little of the programme to be outside as you would like.